When you enter a church for worship, what piece of furniture do you expect to find on the elevated platform? What you expect to find often speaks to what you believe about the importance and role of the preaching and teaching ministries in the local church. When I say platform furniture, I am speaking of the wooden, metal, or Plexiglas structure that the pastor/teacher uses during the message. I am talking about the pulpit, podium, lectern, or other make shift device that they stand behind. Some call it the sacred desk; others refer to it as the hunk of wood that will never go away. These furniture pieces have changed dramatically in the last 20 years. These days you basically have eight options to choose from. 1. The Wooden Pulpit. The wooden pulpit can be natural, stained or painted wood. It is usually equipped with a hidden storage space, sometimes a clock, maybe even a lamp. The wooden pulpit establishes a high view of preaching authority. Since the Reformation, wooden pulpits have been placed front and center to project the importance of the preaching/teaching moment in the worship service. In predominately African-American churches, pulpit are becoming larger and more elaborate. 2. The Plexiglas Pulpit. For those who wanted to move away from the behemoth wooden pulpit, the Plexiglas pulpit became the preferred choice. It was lighter, easier to move, and allowed for the church logo to be etched in the front, creating a branding opportunity. 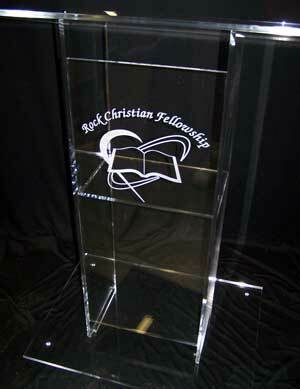 The Plexiglas pulpit is see-through, breaking down some of the distance between the pew and the pulpit. For the first time in years, you could see the pastor’s legs while they preached. It was meant to make the pastor more tangible, more human, more accessible. 3. The Cellphone Tower. 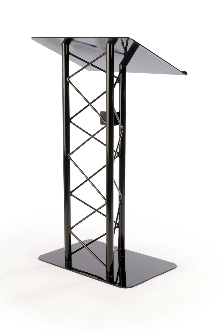 A new addition to modern pulpit design is what a dear friend of mine calls “The Cellphone Tower.” This pulpit is portable, modern, and gives the appearance of being industrial. It basically a podium made of piping or stage rigging. Both the Plexiglas Pulpit and the Cellphone Tower communicate something different than the Wooden Pulpit. They communicate innovation and an appeal to close the gap between the preacher and the pew. Most pastors bemoan the large, wooden pulpit and tend to move out from behind it while they preach. They believe coming out from behind the pulpit make a closer connection with their hearers. These newer designed pulpits attempt to do the same thing. 4. The Music Stand. The thought behind this piece of furniture is ease and utility. The music stand is already on stage, nearly invisible and projects that the sermon/message is more about the communicator than anything else. Consider the musician or soloist who uses the music stand for their sheet music – no one notices the stand, they focus on the artist. 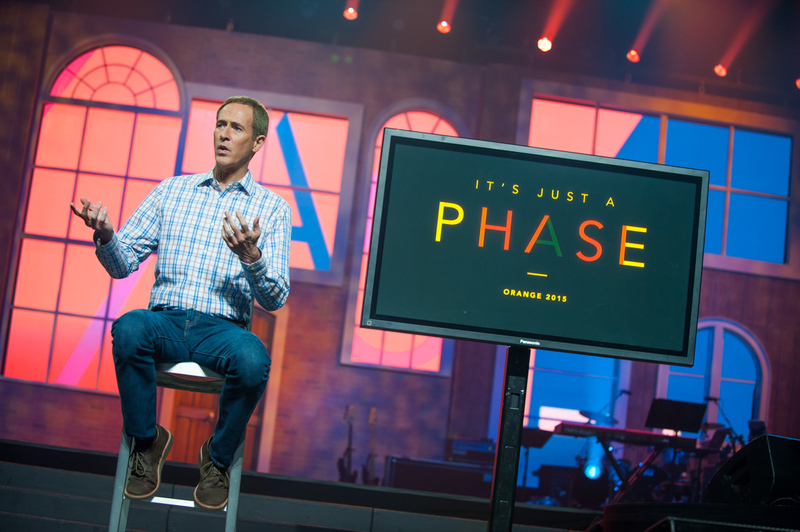 The same thought is at work when the pastor preaches with a music stand – focus on the message, not the furniture. 5. The iPad Pulpit. Even newer than the cellphone tower, the iPad Pulpit has entered the church marketplace as more and more pastors toss out the paper notes and go fully digital. This pulpit looks sleek, modern, and like a control panel on the USS Enterprise. As with the music stand, the iPad Pulpit places more focus on the communicator than the furniture piece itself. It can be moved to and from the platform with ease, making transitions seamless, perfect when the stage hand has to place stage props or move band instruments. For younger generations, the idea of packing a leather-bound Bible to church and scribbling out notes with pen and paper may seem antiquated. Everything is digital these days. Open your Bible app, use Notes to keep ideas, Tweet good ideas. If the hearers in the pew are going digital, maybe the pastor should as well. 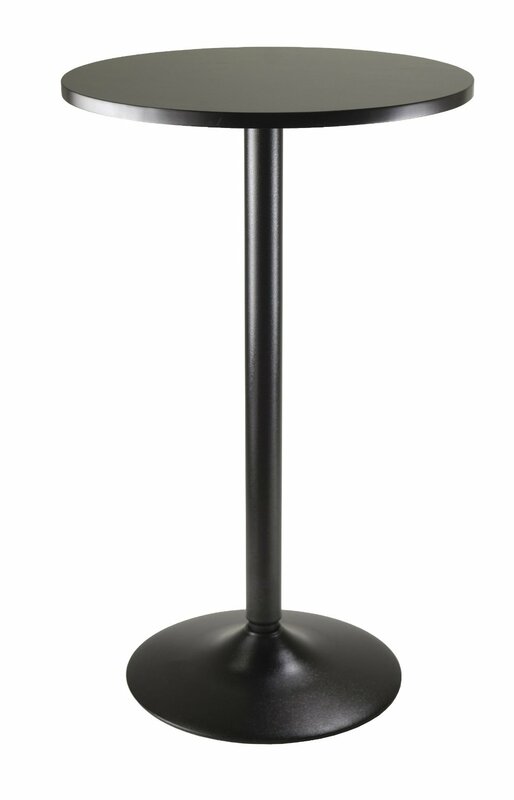 Bistro tables are present in your local restaurant or sports bar, why not at church. They are cheap, sleek, and very easy to move. They are high enough to hold your notes and Bible with without problems seeing what you’ve written down. As with the music stand and iPad pulpit, the view of the preacher/teachers is more casual and laid back. No suit and tie. No formal robes and vestments. We are here to worship God and to be in community together. There is no better way to communicate community than to preach with a restaurant table. 7. The High Chair and Monitor. 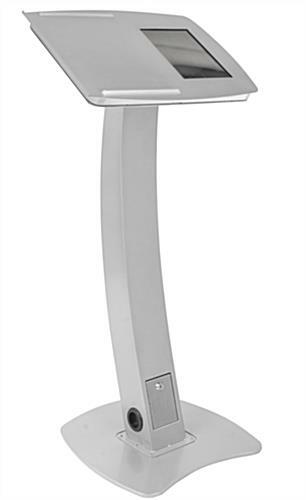 Tossing aside the podium, lectern, stand or table, the high chair and flat panel monitor are growing in popularity. Probably made most famous by Pastor Andy Stanley of North Point Community Church, this removes the pulpit furniture altogether and embraces a communicator-teacher-presenter effect. The pastor/teacher interacts with the stage props, the audience, and the monitor all in real time. There are no notes, no Bible, no manuscript. The message is memorized and rehearsed. The sermon is a talk. The pastor is the presenter. This is conference style communication. There probably isn’t much of an invitation or call to publicly repent, but that is not the design of the service. 8. Nothing at all. Consider the apostles, the disciples, or Jesus himself who preached to thousands with no platform furniture at all. No pulpit. No cellphone tower. No monitor. The founders of our faith preached on hillsides, from fishing boats, seating in synagogues and in open public squares. They preached without notes, without furniture, without iPads, yet they preached with passion, vitality, and full of God’s spirit. All in all, whatever platform furniture piece you use, remember these items are not essential, nor are they sinful. They are tools to use. Simply put: don’t let platform furniture become a sacred idol. We can preach the Gospel with or without them and be perfectly biblical and Spirit-led.